Join us for our special performance at the V1llage Bay 56 Acklam ! Donations on the door towards the space! 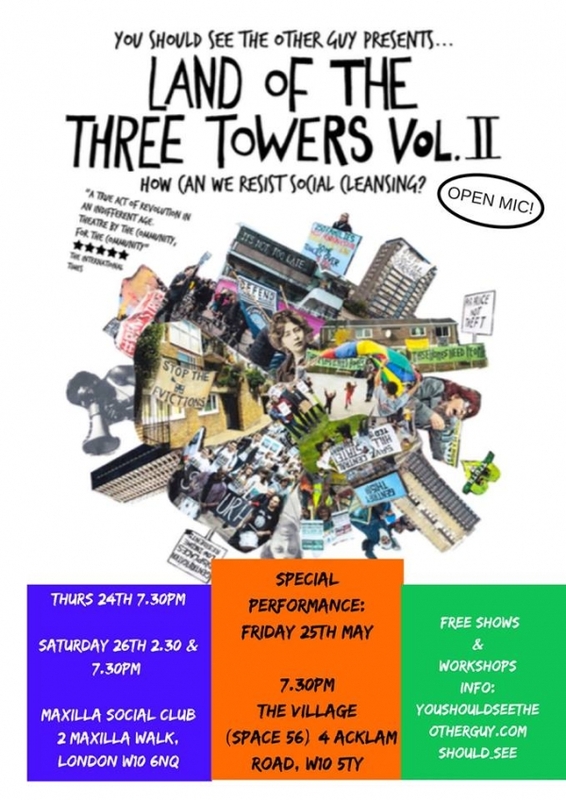 Created and performed by a company of women at the heart of the London housing struggle, with direct experience of the social housing system, this vibrant ensemble show interweaves personal stories and exclusive material from housing campaigns to create a celebratory musical; a toolkit for housing resistance.